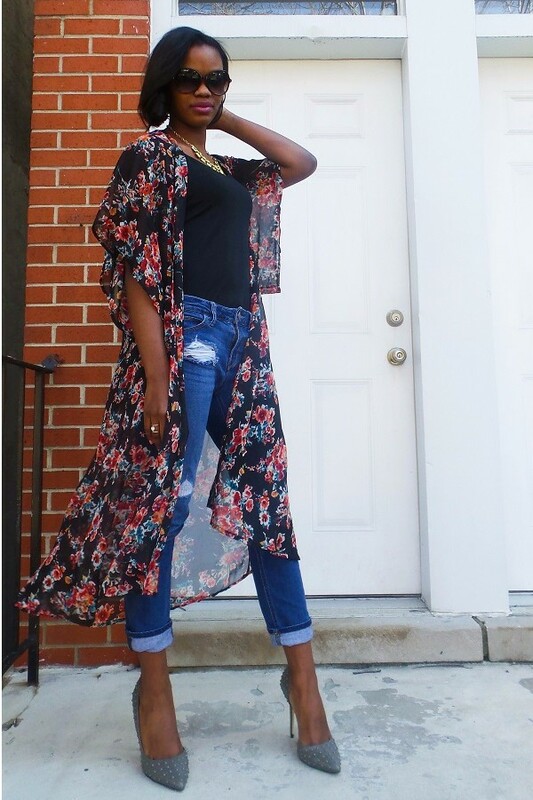 From mid-length to longline, kimonos are all the rage for this year. They come with millions of styles and fabrics and provide us with super stylish and attractive looks. Our simple street style becomes so versatile, interesting and fashionable thanks to these new outfit trends inspired by the old Asian culture. According to the latest design solutions one of the best ways to look stylish is combining the old with the modern. So, here we are to find out how to wear kimonos with jeans. Choose the best styles of kimonos to match with your casual jeans. Taking into account the fact that prints are the most favorite trends of 2018 we offer matching your denim with printed kimono. 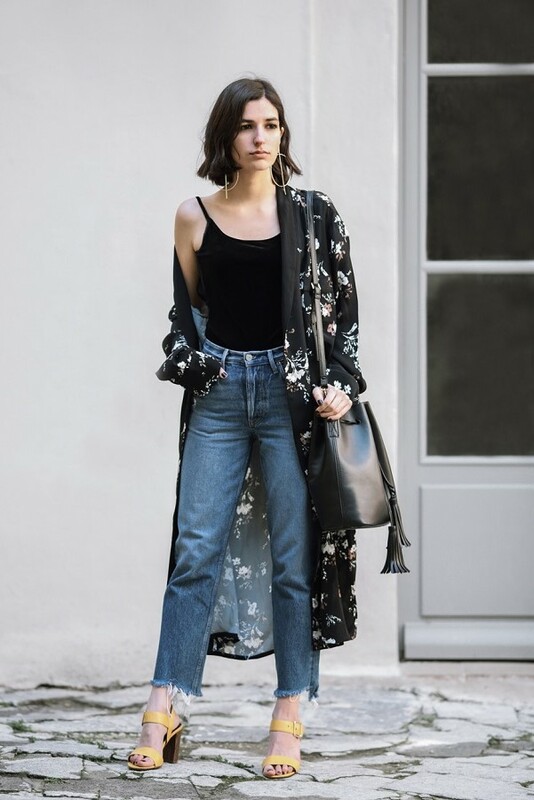 Actually, this is the most popular style of kimono over jeans. From animal and fruit prints to leaves and flowers, you are free in your choice. Keep the fabric subtle, sleek and silky for better looks. Focus on the colors and matching accessories if you want to keep things well-balanced. It’s better if you opt for simple and light-colored accessories with printed kimonos. Between print trends for kimonos floral prints are the winners. They are the true Asian inspiration that go well with feminine nature. Floral prints can make your street style more girlish and attractive. They come with a number of color combinations, which you can easily match with jeans. Try to choose mild hues mixed with brighter shades. There is less contrast and more balance in such combos. Those who prefer boho inspired outfits and accessories, there are special boho kimonos to combine with jeans, hats, sandals or boots, large bags and interesting bohemian accessories. This is perhaps the most interesting style of kimono and jeans combination. Boho kimonos are more impressive especially in longline styles, but you can choose mid lengths too according to your preferences. All types of fringes, floral prints, lace and knitted details added to beach kimonos make a style statement. You can stay stylish on the beach with a kimono cover up worn over jeans shorts. This will both protect your skin from the harsh UV rays and add an eye-catching vibe to your entire look. Kimono cover ups are generally made of the subtlest fabrics that keep you cool enough on hot summer days. They look good with summer hats, sunglasses, large beach bags, sandals and other beach accessories.